For the Spanish designer Jaime Hayon, a dining table is not just a piece of furniture. For Hayon, the design of the table itself should be as varied as the people and the conversations at the table. 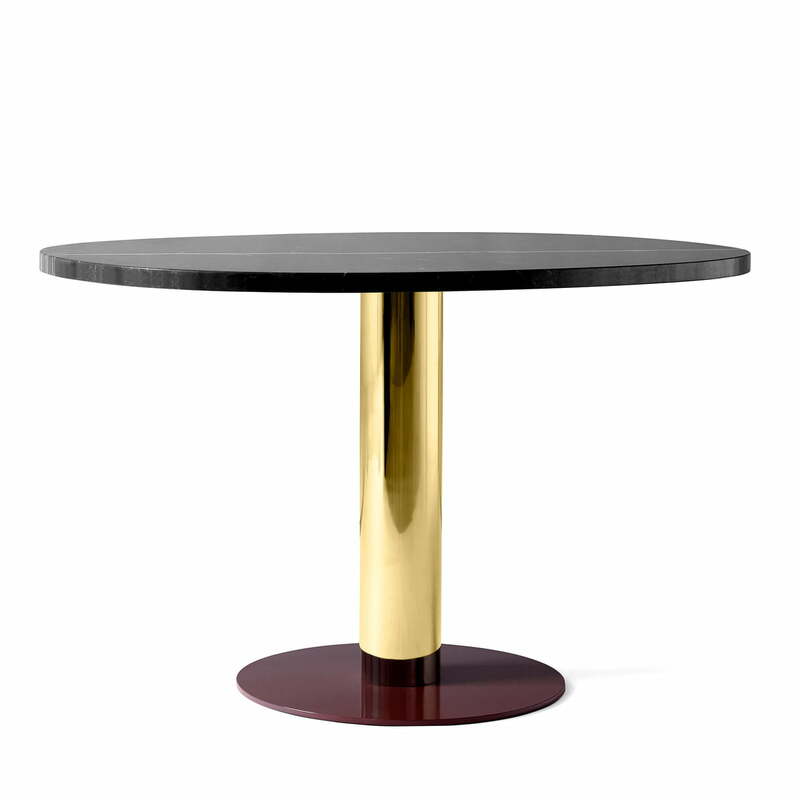 The Mezcla JH22 dining table by Jaime Hayon for &tradition is characterised by its extravagant material mix. The name of the table is also chosen to match, because 'Mezcla' is Spanish and means 'mixture' or 'mixture'. . The table top is made of travertine, wood or marble, while the cylindrical base is made of metal in brass, chrome or steel. The foot is also made of metal and is then lacquered in various colours. All in all, the result is an extravagant piece of furniture that attracts everyone's attention. The Mezcla JH22 dining table is available in various material combinations as well as a coffee table and side table. The Mezcla JH22 dining table by Jaime Hayon for &tradition is characterised by its extravagant material mix. 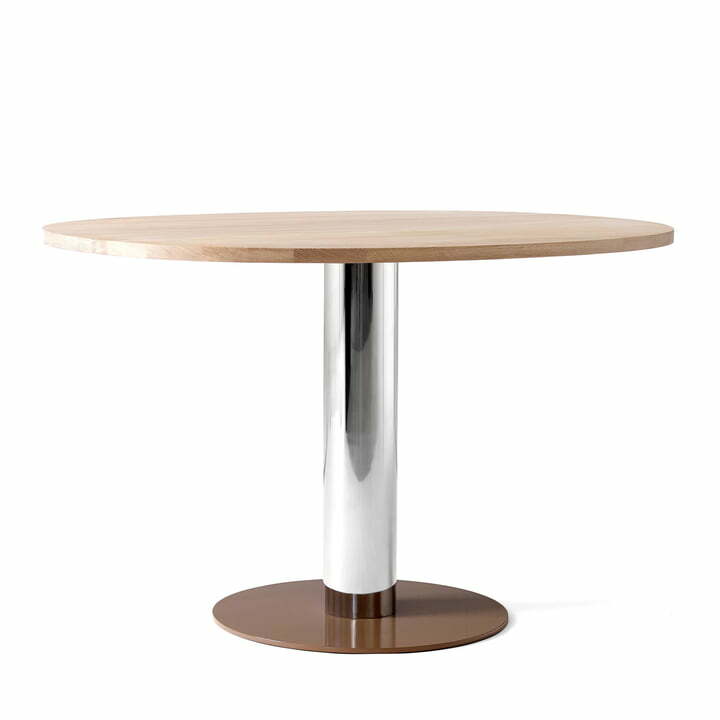 Materials such as marble, wood, travertine and metal in round shapes determine the design of the round table. Isolated product image of the In Between table by &Tradition. The dining table consists of different materials, which harmonize perfectly with each other for a great eye-catcher.